Gin lovers listen up! Millennial Pink truly has taken over everything from clothing and beauty to interiors - you can't escape it. And now even your gin has taken inspo from the shade. Get the strawberries and chalices at the ready because this might just be the most Instagrammable drink of the year. 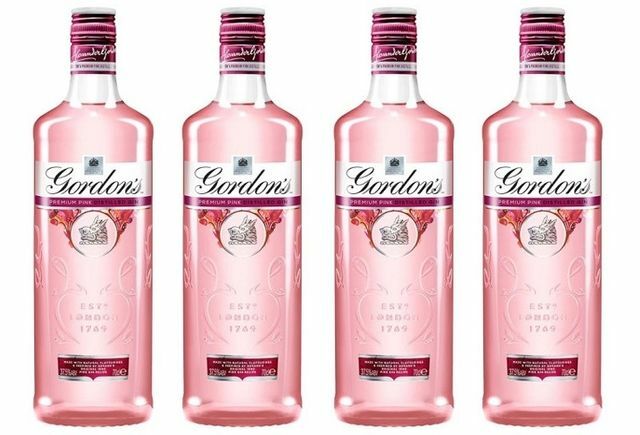 Gin leader, Gordon's have just released a Premium Pink Distilled Gin made from their classic recipe from the 1880s, in which the pink "combines the natural sweetness of raspberries and strawberries with the tang of redcurrent" to create a "unique blushing tone." Annalisa Tedeschi, Head of Gordon's, commented: "As Britain's favourite gin we are excited to launch this delicious new pink gin, inspired by the Spanish gin trend, which is to take the UK by storm." Launching exclusively in Tesco for £16.50, it will be available in bars across the UK from August. 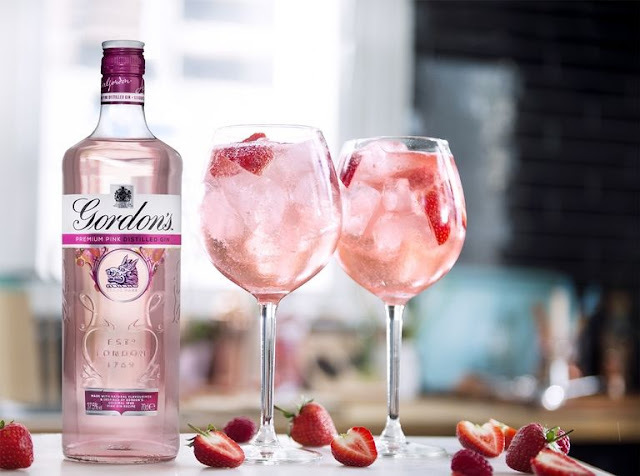 And a word of advice from Gordon's, they recommend serving the pink gin in a large wine glass, packed with ice, tonic water and a fresh strawberry cut into wedges. Or if you're going to go all out, try with a splash of Prosecco. 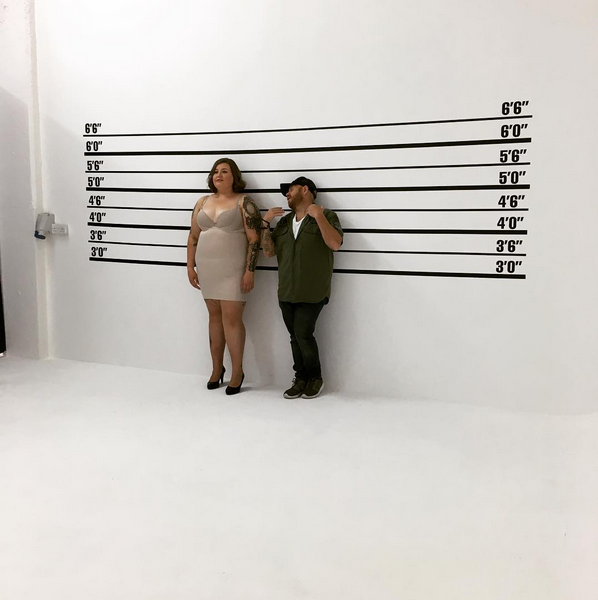 All you need is to be in proportion and have good measurements, it's that easy! Summer's over... there we said it. Rain, doom and gloom has taken over, we've said goodbye to 30 degree heat and dug out our Winter coats. 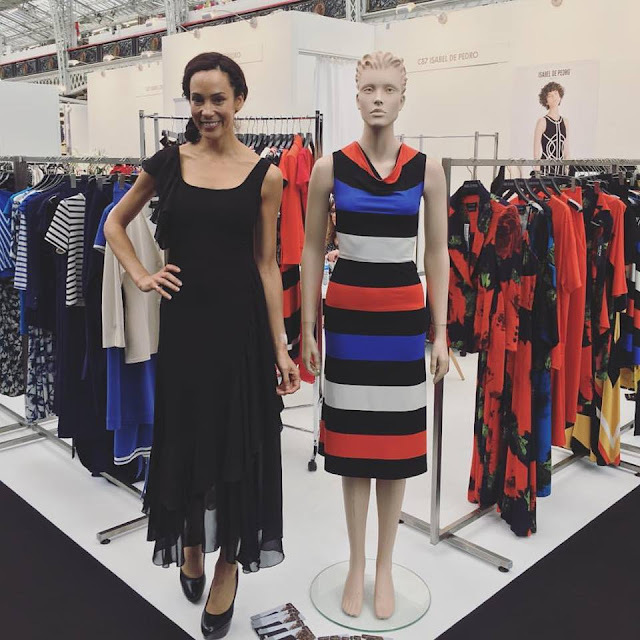 We might as well put away the Summer wardrobe now and think ahead to what we'll be wearing come September and the trends of AW17. 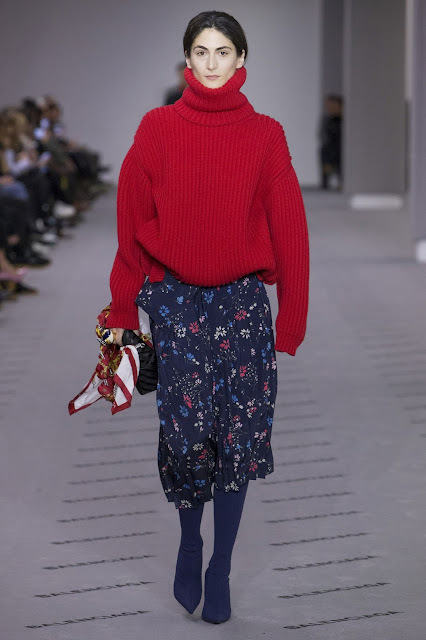 Patent and PVC could be found at the likes of Miu Miu, Fendi and Roksanda and over at Calvin Klein, every outerwear piece was coated in clear plastic. If clear plastic isn't the one for you opt for less daring look with black vinyl. Not like the ones your Grandad used to wear, or still does and not ideal for the British weather, corduroy is back but this time in a softer, more feminine way. 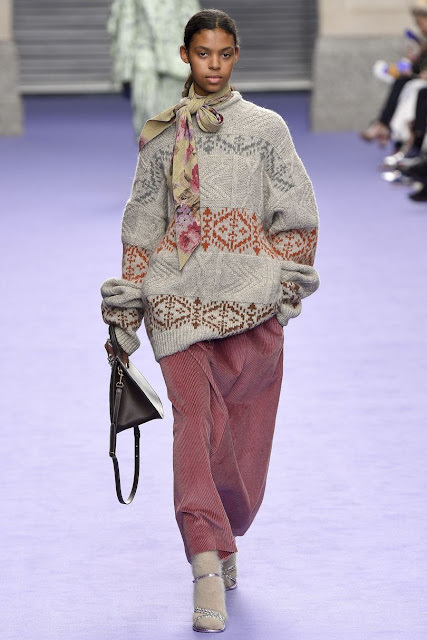 In tones of blush, terracotta and teal look to Mulberry on how to nail this look. Cableknit, stripes, polonecks, oversized, all seen at Max Mara, Prada, Balenciaga, Louis Vuitton, Gucci and more, it's time to wrap up. 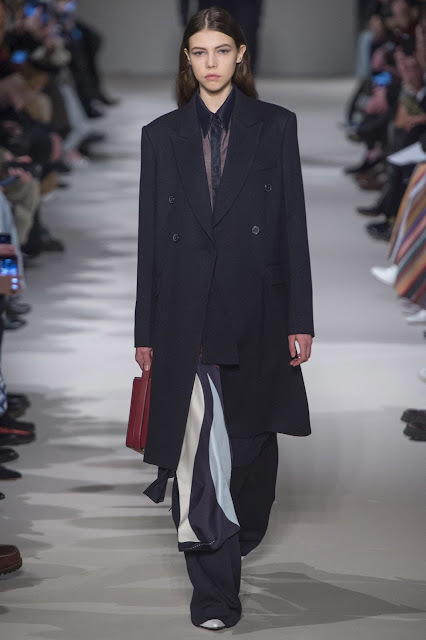 Dominating the runways by brands such as Givenchy, Prada, Max Mara, Fendi and more. 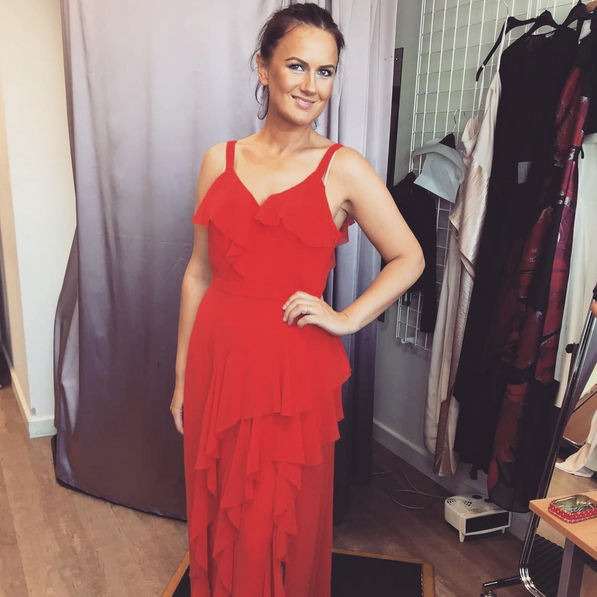 Head-to-toe looks in every shade of red were without a doubt the look of the season. Have you dedicated the past seven weeks to the greatest show to ever grace our TV screens? You planned you're whole social life around this one show? You became invested in the couples lives and now that Love Island is finished you just don't know what to do with yourself. Yep, us too. 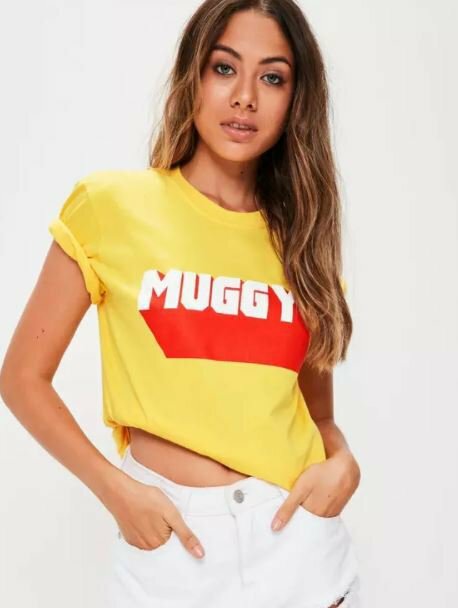 Thanks to Missguided we can keep the memory of Muggy Mike and everyones favourite, Kem, with us until next years series as they've just recently launched a couple of Love Island themed T-shirts. 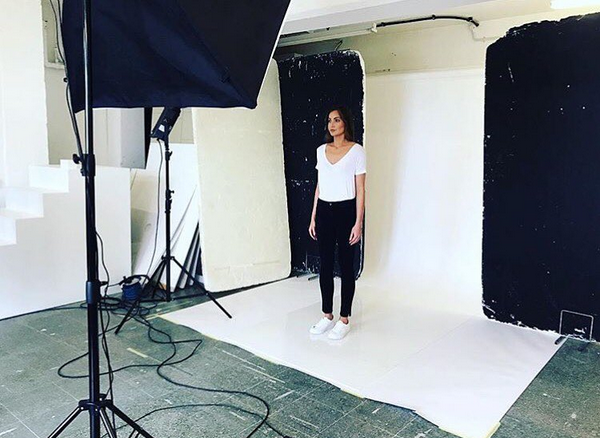 Retailed at £12 each and available in a range of sizes, the oversized tee is perfect for everyone. 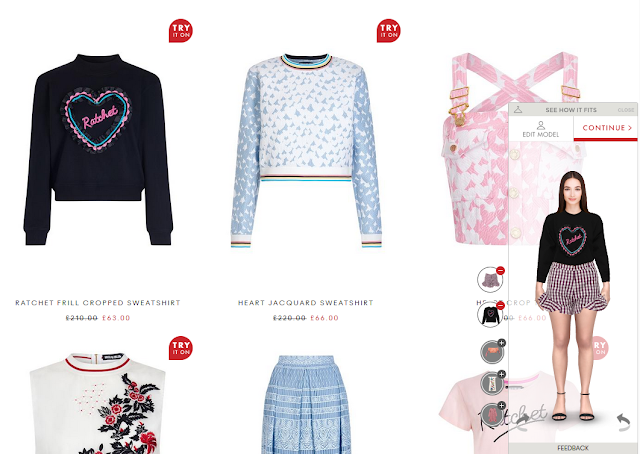 And what's best about them being on Missguided? They always have discounts going on. So you can purchase guilt-free and not have to worry about your mum, dad or other half telling you what a waste of money. Because it's so not. But don't worry, they'll be restocked oh so soon and you can always pop down to Primark as they've gone the extra mile with their Love Island themed T-shirts. 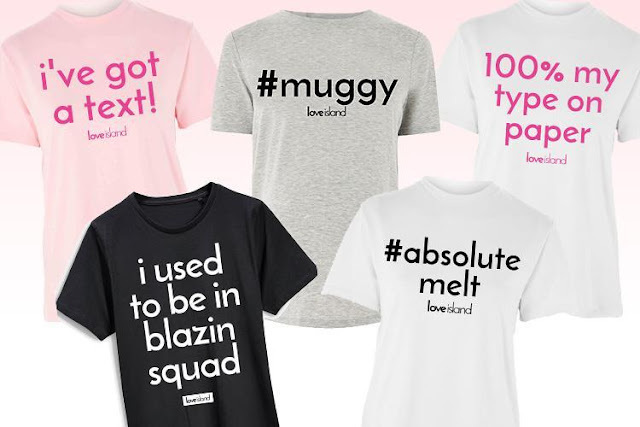 100% our type on paper, Primark sent us all into a frenzy earlier this month when they revealed a range of T-shirts emblazoned with the most memorable catchphrases. At £6 the tees sold out pretty much immediately and were even selling for nearly five times the price on eBay. We weren't really feeling these tees before, but now it's all over we're most definitely heading down to our local Primark ASAP. 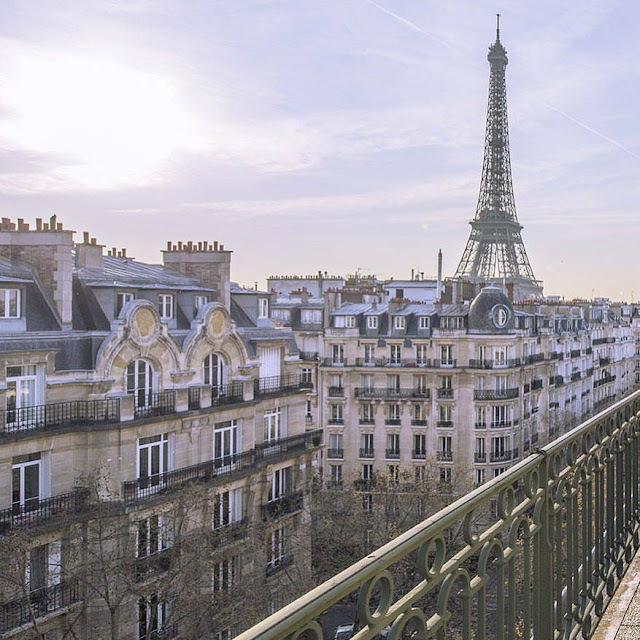 Big fan of the cinema and always looking for something unqiue and out of the ordinary to do? 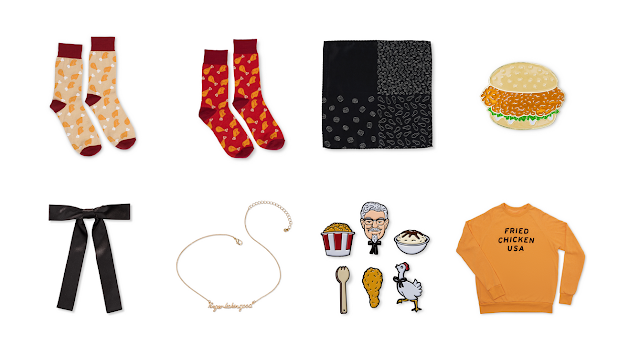 We've got just the thing for you. 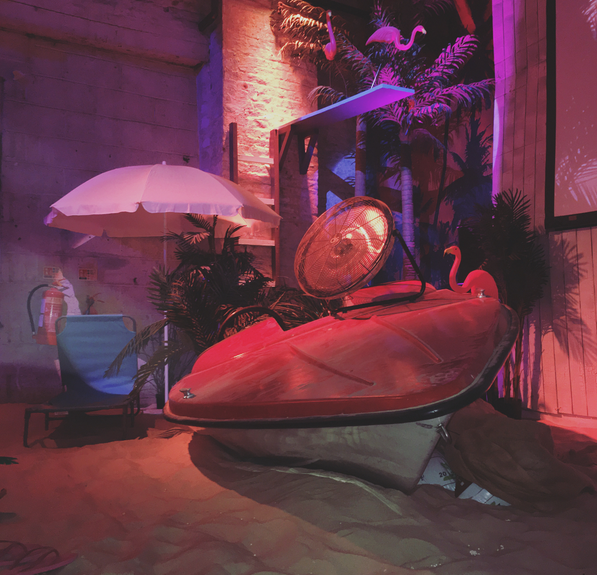 This weekend we made our way down to the Mercato Metropolitano Italian food market in Borough to experience London's first themed cinema, Backyard Cinema. 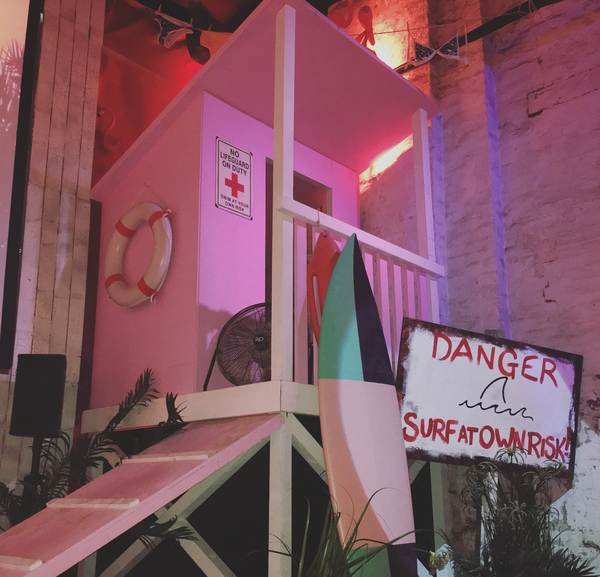 Already well established with outdoor screenings in churches, Camden Market and festivals, the Backyard has moved to a more permanent home. 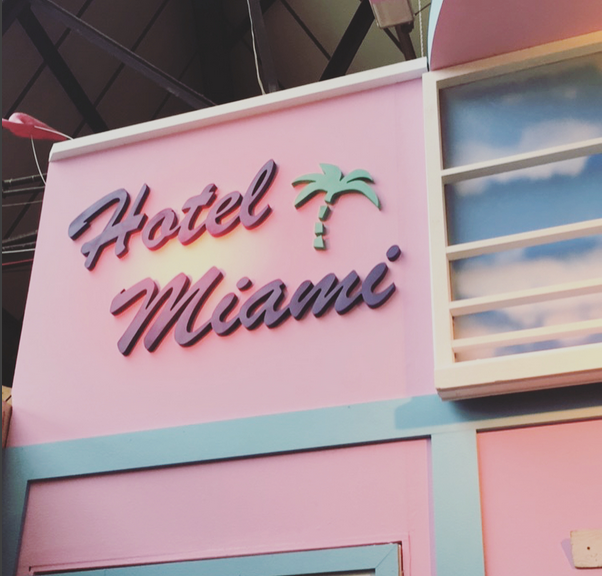 Upon entering we thought we were in the wrong place but as soon as you turn the corner, there it is Hotel Miami in all it's Millennial pink glory. 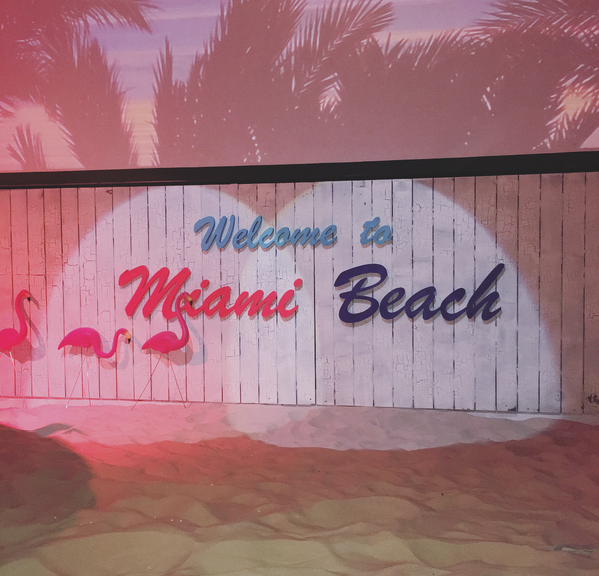 Trade in your shoes for flip flop, feel the sand between your toes - oh yeah, there's real sand - and make your way to South Beach. As soon as you enter you're just amazed. How can this place be hidden in an Italian market?! We don't want to give too much away about what happens as you just have to see it before you believe it. But what we can say is that we're already planning our second visit. With a vast choice of films to watch, pretty much everyday, there's a film for everyone. And it's perfect for all events. 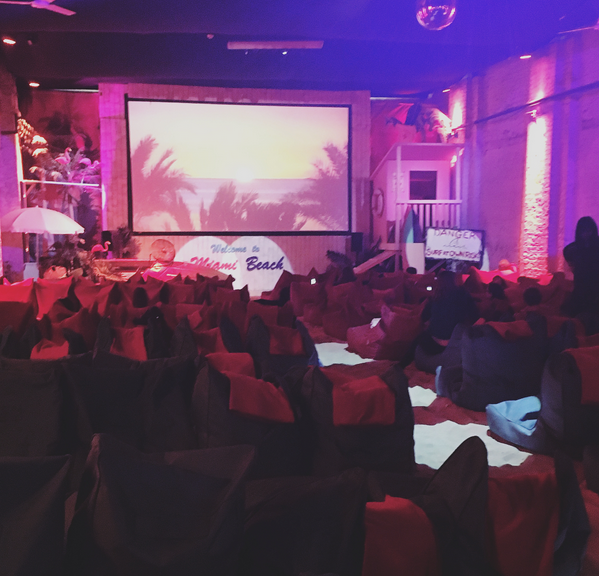 Either purchase a ticket for the film and chill out at the Flamingo bar before the film starts or you can choose one of their package deals. We went for the date night package and we were truly spoiled - tickets, bottle of fizz, two bags of popcorn and ice cream. 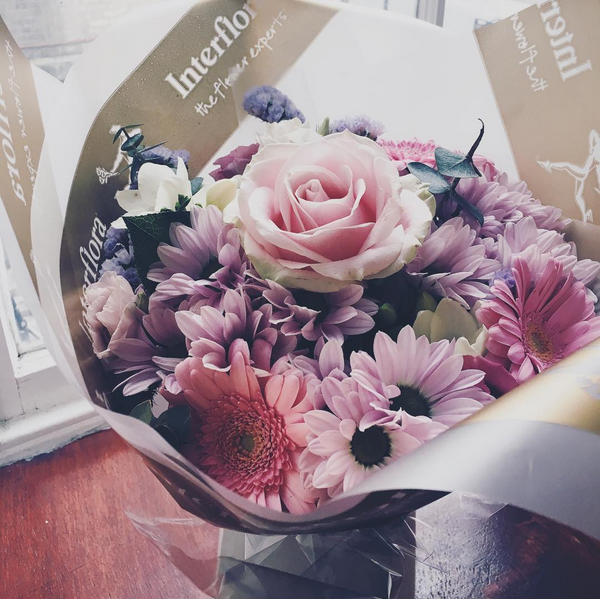 It's the perfect surprise and our pictures just don't do it justice. The September Issue, the biggest and most influential issue of the year is almost upon us. 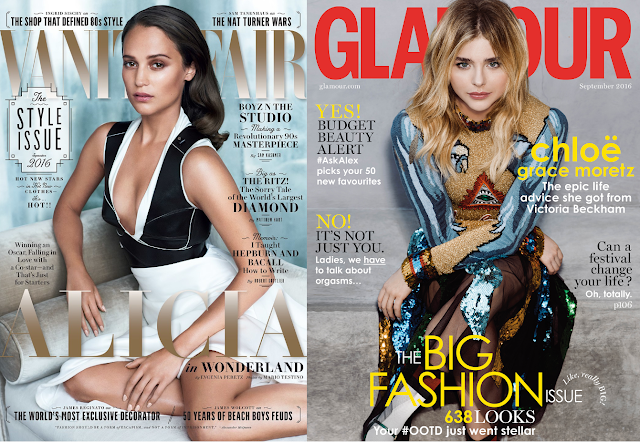 Year after year we see the biggest names grace the covers of every magazine out there but do we really know why? 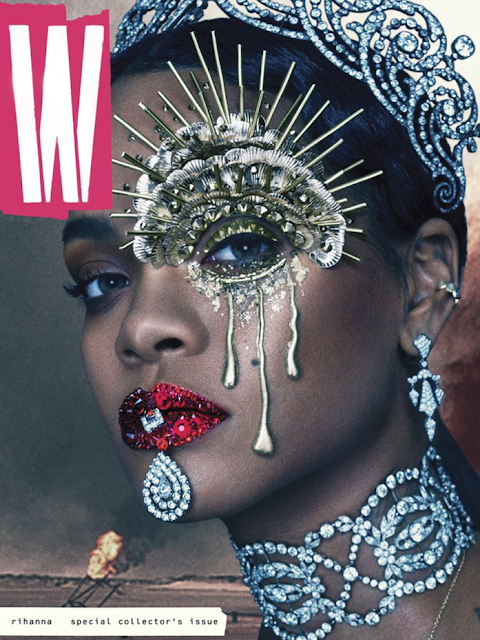 September in the fashion world is pretty much the January of the year. 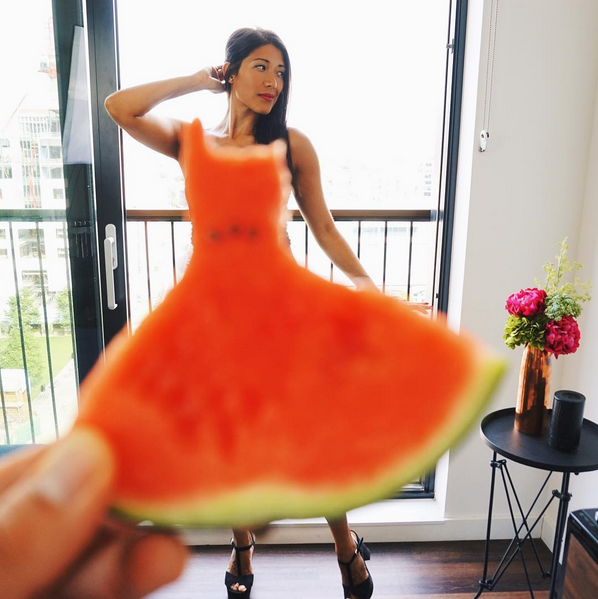 We say goodbye to the Summer and look ahead to a fresh start. 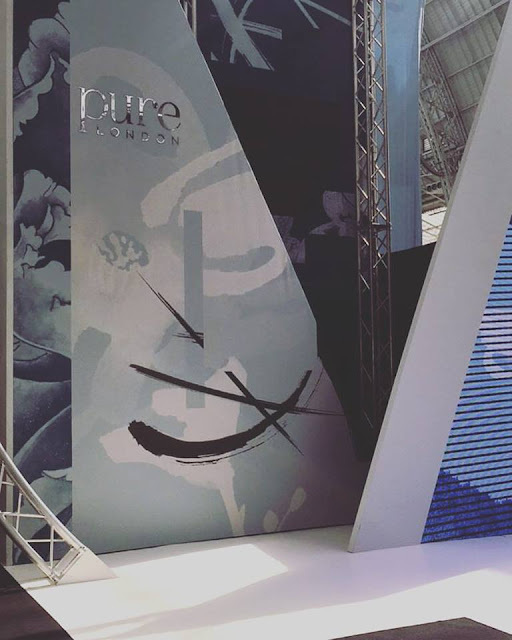 New collections, new campaigns, everything has a certain buzz around it. It's almost like going back to school. Made famous, if you like, by the feature film The September Issue back in 2009, which followed American Vogue making their legendary issue with Sienna Miller on the cover. The September issue has been a big deal for much longer than we thought. 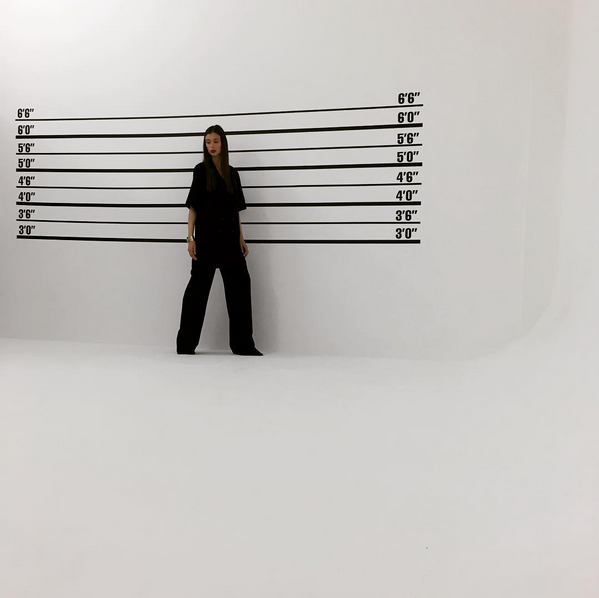 Fashion historian Judith Watt from Central Saint Martins has written for British Vogue in the past and she comments on how the issue was bigger in the past that it is today. "It is traditionally the issue that showed the forthcoming collections. And in a time when women were more conventional with their style, this was their bible." 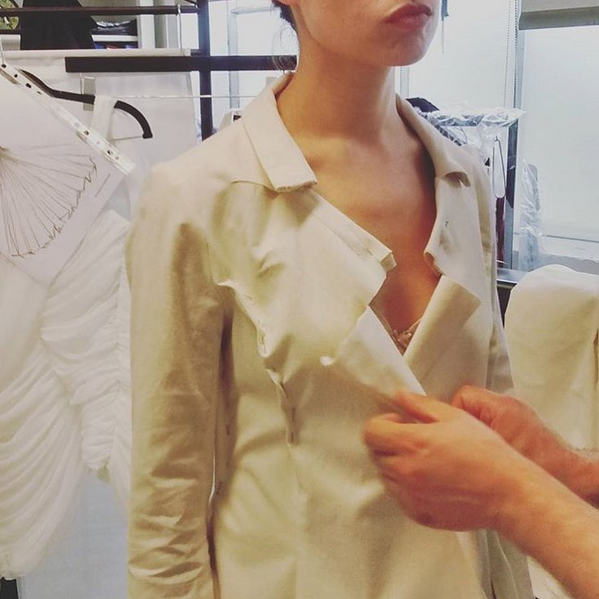 "Vogue was doing this from 1909 until about the 80s or 90s and showed all the couture styles from the prestigious fashion shows around the world." 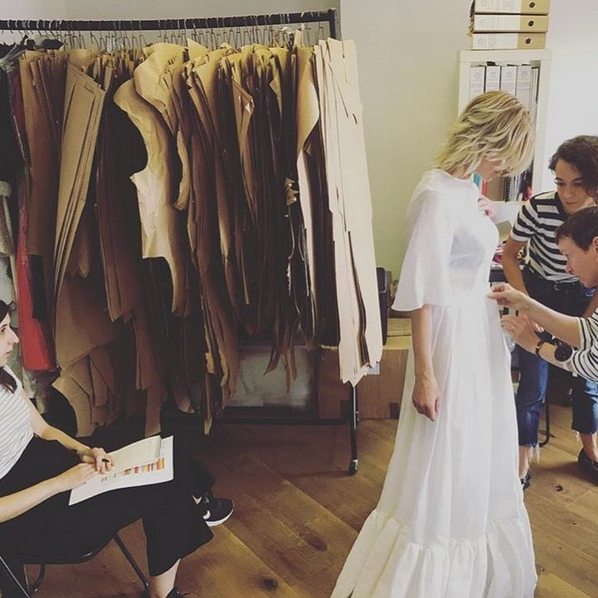 "You wouldn't be looking at the magazine to buy the clothes though, you'd be looking at the new dressmaking patterns and then make them yourself." Watt believes that in today's society "it is famous because of the film." These issues can be known to push the boundaries so as usual it'll be interesting to see who the Editor's have chosen to make their magazine stand out from the rest. 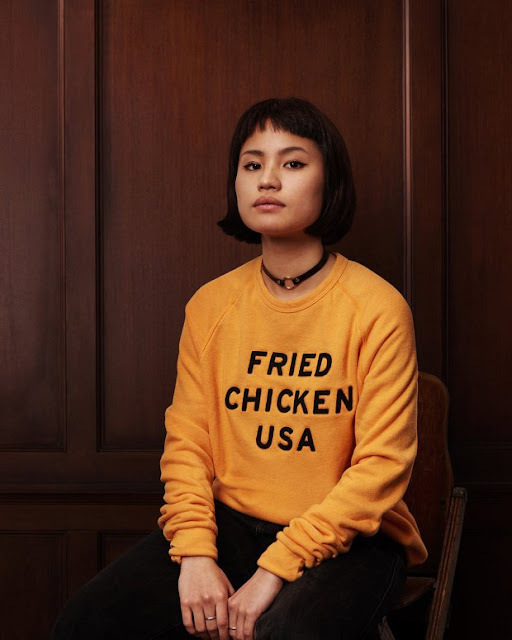 Something we thought we'd never be writing about, but yep, KFC has ventured into the world of fashion and launches their first collection of 'finger-licking' garms and accessories - and they're already selling out. The limited collection includes t-shirts, socks, scarves, badges, pins, sweatshirts and necklaces. And that's not all. They've thought about everything - home accessories including pillows with the Colonel's face on? There's that too. They've even gone as far as released a mobile phone. 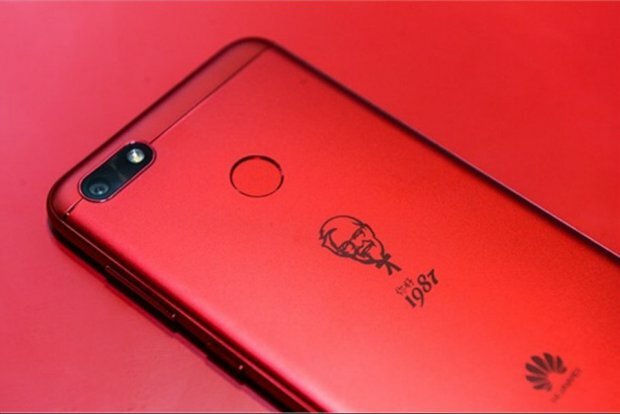 The limited edition phone in collaboration with Huawei Mobile to celebrate the restaurants 30th anniversary in China can be yours for a reasonable £123. But you'll have to purchase fast as there is only 5,000 units available. British fashion designer Stella McCartney is known throughout the industry as an advocate of ethical fashion and environmental conservation. 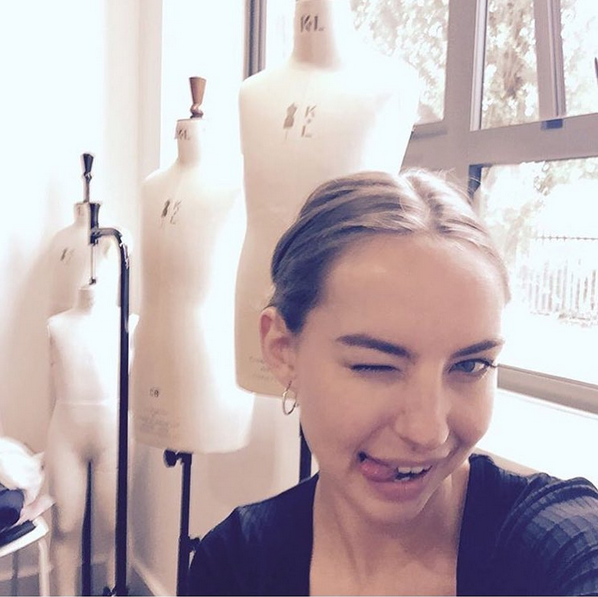 She's one of the leaders in sustainable fashion and refuses to use leather and fur throughout her designs. 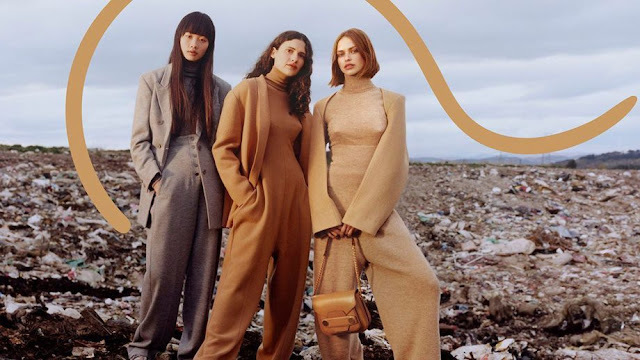 Always pushing the limits of ethical fashion, her latest fashion campaign is no different. Shot by Harley Weir and created in collaboration wit artist Urs Fischer, the campaign features clothing from her latest collection. 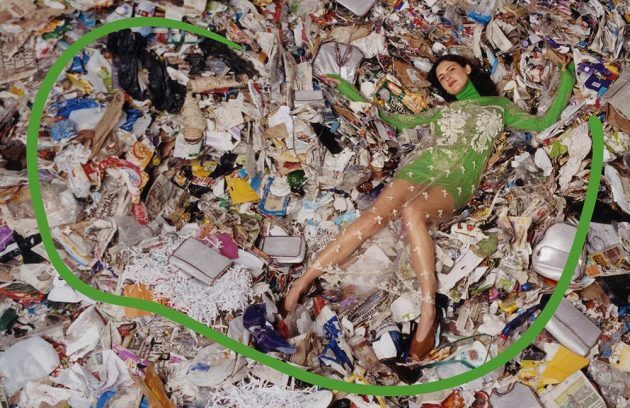 Posed on a landfill in East Scotland, models Birgit Kos, Huan Zhou and Iana Godnia can be seen lying in rubbish surrounded by disused cars with smiles all round, highlighting how consumerism has affected the planet. Balayage, the biggest hair trend of the year so far has been the go-to for pretty much everyone since it first came onto the scene but what exactly is it? Balayage, a French word meaning to sweep or paint is a technique for highlighting hair in which the dye is painted on to create a natural-looking effect. Applied to the surface and not saturate through the section until the tips, it is known as a freehand technique because no foil or meche are used to create the highlights. It is totally unique and catered to you. Suitable for all hair lengths and works on both light and dark hair, the possibilities are endless and you can help create a look tailored to you. Not really. You can wait longer in between appointments as it grows out more naturally and you don't get that obvious regrowth line. All you need to do is protect your hair as you would any other colouring technique - use colour protecting shampoo and conditioner, regular treatments and heat protection, if styling. Low maintenance, more natural that'll always be timeless. Ditch the highlights and go out of your comfort zone and try something new. Please comment if this is you or if you know anyone suitable. Now we love online shopping, it's so much easier than dragging yourself round Westfield trying to dodge every man and his dog on a Saturday afternoon, let alone trying to find something. Instead we can shop from the comfort of our bed, still in our PJ's and receive the items straight to your door. What more could you ask for? But the only downfall with online shopping is that you can't try it on. You get yourself all excited with your purchase only to open the package, try it on and shock horror, it either doesn't fit or you look awful. You just can't win. 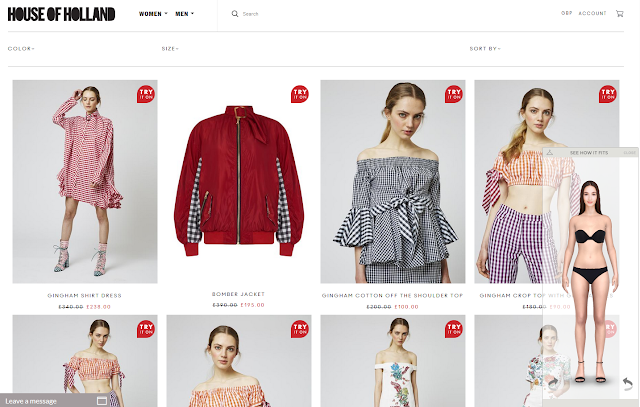 It seems that Henry Holland has caught onto this crisis and given us just what we need. 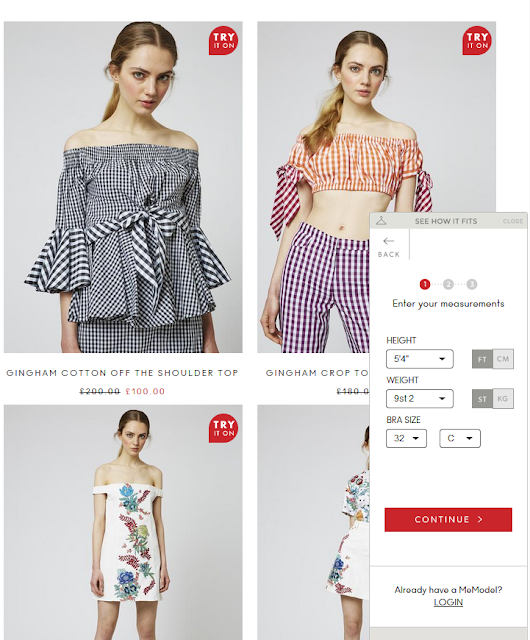 Over on his site, House of Holland, when it comes to browsing for your next purchase you can in fact try on and see what the garment will look like on your body. 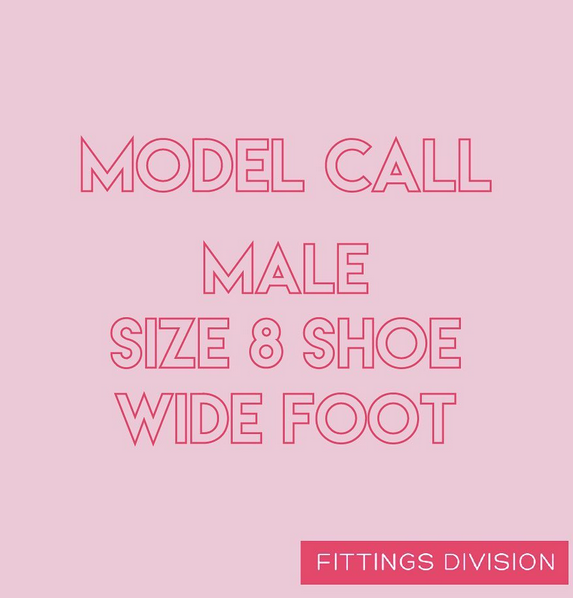 By entering your height, weight, and bra size the site will then calculate your waist and hip measurements to ensure that the virtual body is an exact match to yours. 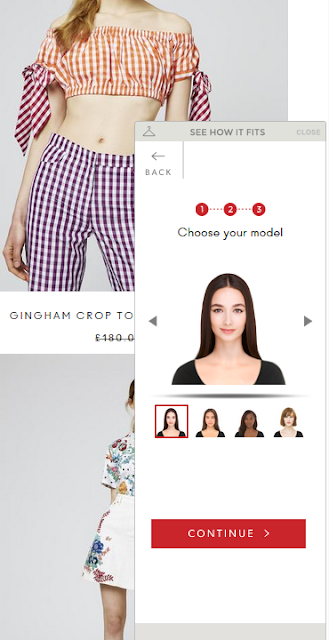 And as an added bonus you can even pick a model of your choice! Winning. 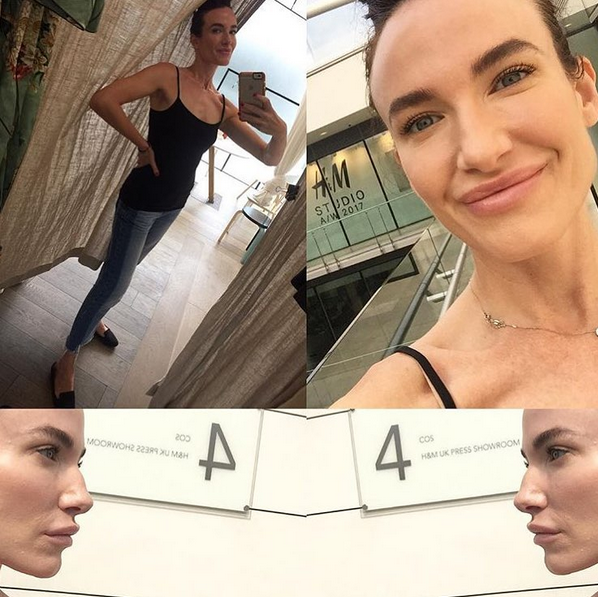 From there you can try on all the clothes until your heart is content - it's pretty fun. 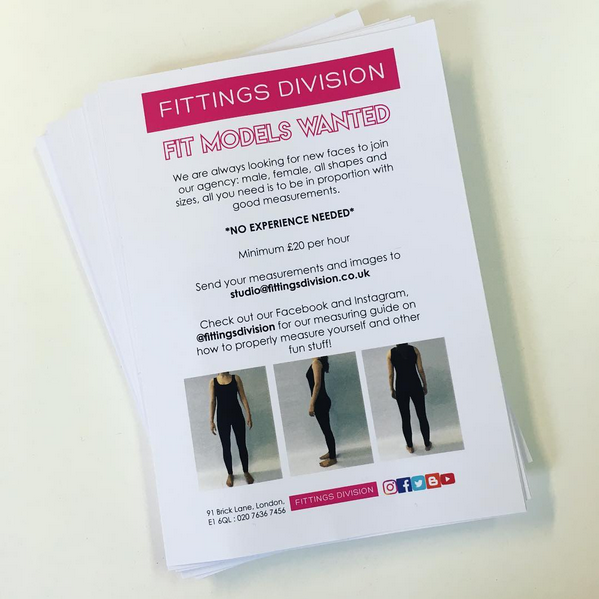 Why this has taken so long to happen, now we just could do with everyone having this on their site and we'd never have to step foot in a changing room every again! There's no denying it, you simply can't have Summer without Pimm's. It's a British tradition. You can't beat spending the day in a pub garden with a jug of Pimm's surrounded by your mates. Or even having a cheeky Pimm's in a can after a long day at the office. Pimm's means Summer and us Brits can't get enough. So when we heard that Pimm's have gone and made their own ice lollies, all our dreams came true. 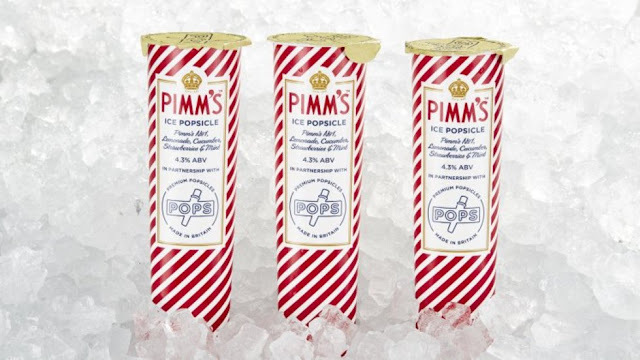 From the geniuses behing the Prosecco, Martini and Moscow Mule ice pops, the ice lollies made with Pimm's No. 1, lemonade, cucumber, strawberries and mint sounds dreamy. And only 32 calories per lolly, you won't feel guilty at all - that's if you're into the whole calorie counting. Available from Ocado for £5.99 for three popsicles, you can also get your hands on them at Selfridges roof deck and food hall. All we need to do now is sign up to Ocado and wait for our order to arrive.